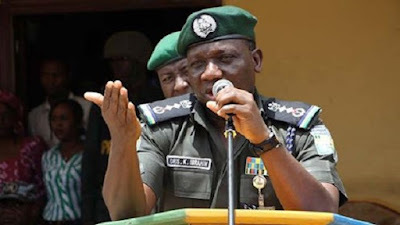 The Peoples Democratic Party have advised the acting IG to immediately re-engineer the force. The PDP berated the former IGP Ibrahim Idris for shameful and partisan tenure, which, it alleged destroyed professionalism in the police and compromised the lives and property of Nigerians. The PDP demanded that he must be held accountable for all the perceived atrocities he allegedly committed while in office. The PDP National Publicity Secretary, Kola Ologbondiyan, in a statement in Abuja, said Idris would be remembered as the only IG who allegedly surrendered the responsibilities of his exalted office to the whims and caprices of politicians close to the Buhari Presidency. Ologbondiyan said, “He (Idris) defied the need to secure troubled areas and watched carelessly while an integral part of our nation was engulfed in bloody clashes. Idris will also be remembered as that police officer, who had a penchant for accusing innocent Nigerians of ridiculous allegations. Ologbondiyan also urged the new police chief to avoid the pitfalls of his predecessor.